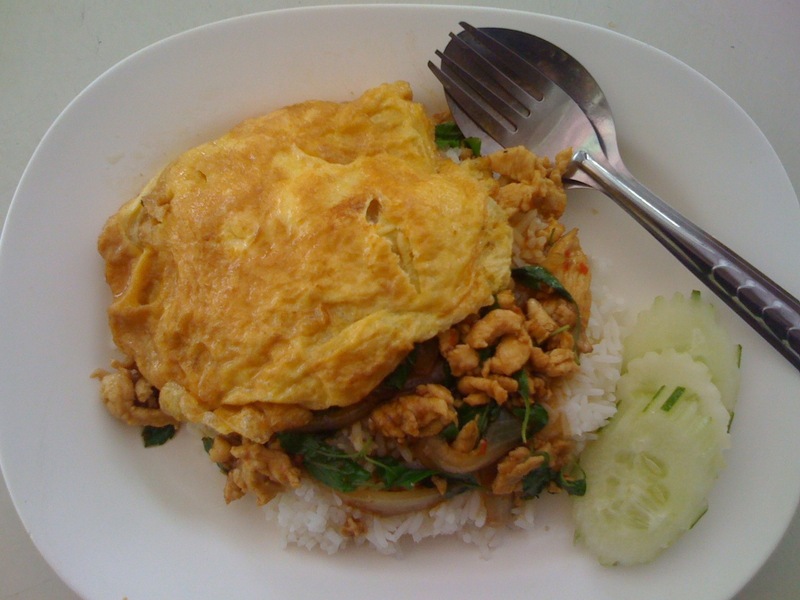 One of the most common lunch time dish in Thailand is “Krapao Kai”. It is a saying here, when you don’t know what to eat, you order Krapao Kai. 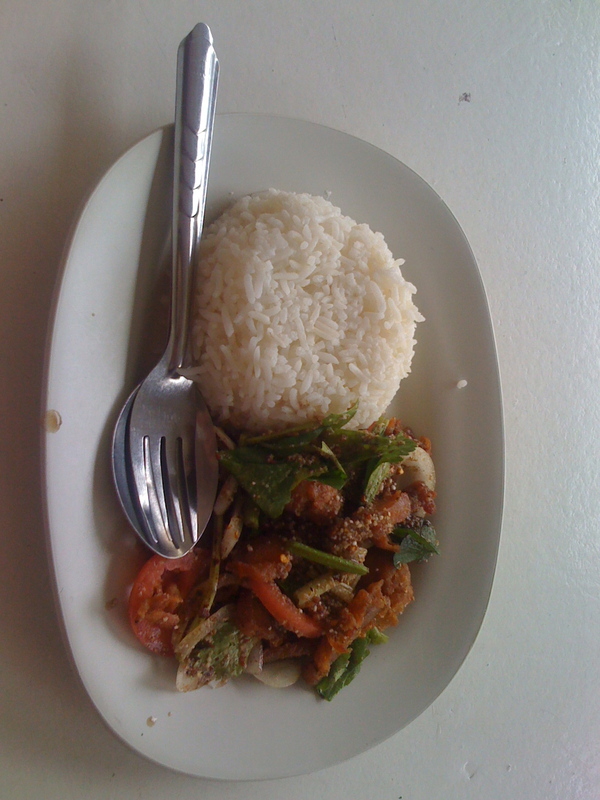 Krapao Kai is stir fried chicken with basil leaves. It is a little bit spicy and super easy to prepare. It is also known as farmers food in Thailand. So my lunch for Thursday was “Krapao Kai with Khai Jeaw”, stir fried spicy chicken with fried egg and of course rice. Almost all the food stalls in our canteen takes order for Krapao Kai, but my favorite is stall number 13. She remembers how I like my Krapao Kai, so when I order Krapao Kai, she puts more onions and less chillies by default. I am always amazed by how things are managed so well here. It is not chaotic at all. I try to imagine how it would be like in Nepal to run around 13 to 15 food stalls in one area with over 300 people ordering during lunch hours. Ofcourse our canteen looks crowded and the air is filled with the aroma of all kinds of Thai spices, but it is not chaotic, its like an organized chaos. People are much more disciplined and relaxed here. The process is same, we go to the canteen, look around stalls and place our order. Usually there is a note placed in front of each stall, people write down their order, find a table and patiently wait for their food to be prepared. And since we cannot write down our order in Thai, we place our order and go back to waiting. After around 10 minutes, we go and check for our order, if its ready we pick it up, pay and return back to the table. If not, ask the vender how much longer is it going to take, come back and wait. When I first started working here, I was awed by all kinds of Thai food stalls, the variety or food available, the simplicity of ordering food and the price. One order never exceeds 40 Thai Baht, unless you order an entire grilled fish(which will cost you 45-60 Thai Baht) or one half of grilled chicken. Heat the oil in a pan, fry the red chillies, garlic and minced chicken breast and cook until done. Next put oyster sauce, fish sauce and basil leaves and stir for about a minute. And your spicy chicken with basil leaves is done!! Serve with steamed rice and fried egg. Happy Lunching, and I promise Friday will not be chicken :).